Thousands of people are preparing to leave their homes as Manaro volcano on Ambae Island continues to rumble, belching ash, smoke and volcanic rocks. Vanuatu Red Cross Society is on the ground supporting the evacuations and response efforts. “People are on edge. They feel quite uncertain and afraid, with the constant rumbling going on. The whole island is unsafe, considering the level of volcanic activity that has been continuing for more than a week,” says Dickinson Tevi from Vanuatu Red Cross. Mr Tevi is part of the Vanuatu Red Cross team that has been helping people affected by the evacuations since the government declared a state of emergency and raised the alert level to four out of a possible five. In that time more than 7,000 people were relocated to 14 evacuation centres that Red Cross had helped set up on the east of Ambae Island, and now the decision has been made to evacuate Ambae’s entire population of more than 11,000 people to neighbouring islands Maewo, Pentecost and Santo. People are leaving with few possessions and there is no way of knowing when they will be able to return home. Red Cross has been conducting assessments to get a clear picture of evacuees’ needs. 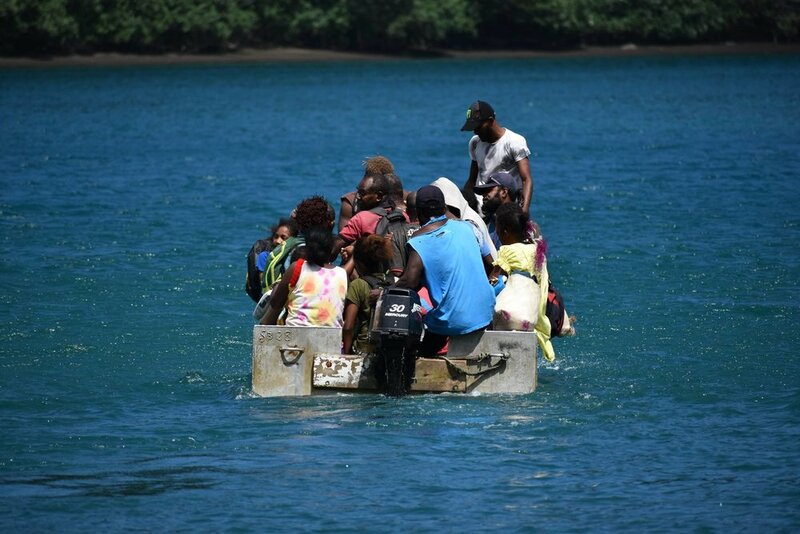 Clean water has emerged as the most urgent requirement, something that will only increase as the evacuations off the island continue over the next week. In response, Red Cross has distributed thousands of litres of water to evacuees. Vanuatu Red Cross is heartened by the offers of assistance it has received so far and is accepting cash donations. 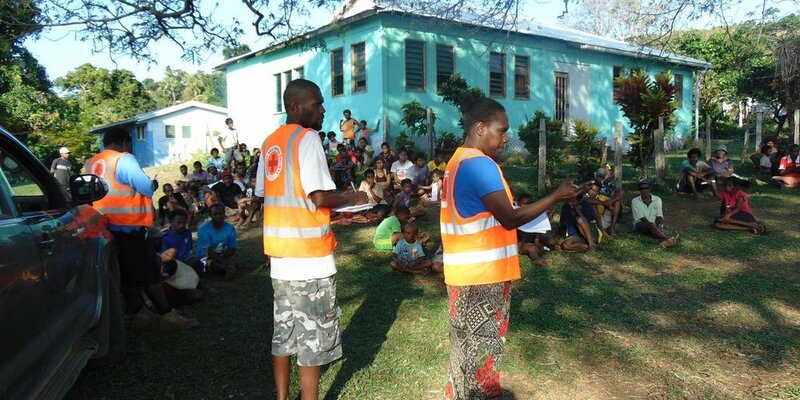 On 30 September 2017, the International Federation of Red Cross and Red Crescent Societies (IFRC) released a Disaster Relief Emergency Fund amounting 255,000 Swiss Francs (263,000 US Dollars) to support the Vanuatu Red Cross in assisting 11,000 people with safe drinking water, hygiene promotion activities and the distribution of essential household items like mosquito nets and kitchen sets.